Lonhro’s superstar son Impending became a winner at the highest level when taking the G1 Stradbroke Handicap over 1350m at Doomben on 10 June. This is the second victory in Group company for the exceptional son of Lonhro, who won the G2 Stan Fox Stakes last year. Jumping well from an outside barrier, Impending travelled comfortably midfield under jockey Corey Brown. 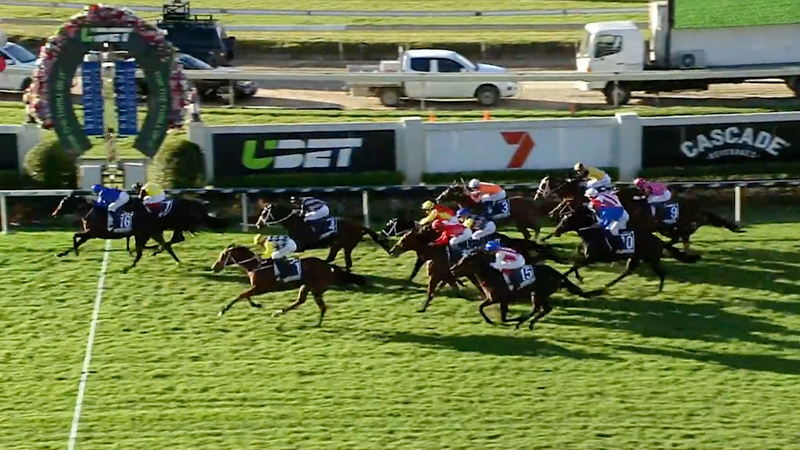 The three-year-old colt showed a superb turn of foot in the straight, powering home down the outside to secure a dominant victory ahead of G2 winner In Her Time and the recent G1 Darley Kingsford-Smith Cup hero, Clearly Innocent. Bred by Darley, Impending is out of five-time Group winner Mnemosyne, who won the G1 Thousand Guineas and the G1 Queen of the Turf Stakes. Impending’s second dam, Canny Lad mare My Juliet has produced seven winners from as many foals. Mnemosyne herself has produced four winners including G3 winner Forget, who is by Exceed And Excel. Impending becomes the ninth individual G1 winner for his champion sire, joining Denman and Exosphere who both stand at Kelvinside along-side their sire, as winners at the elite level. Lonhro stands this coming breeding season at Kelvinside, NSW, for a fee of $66,000.